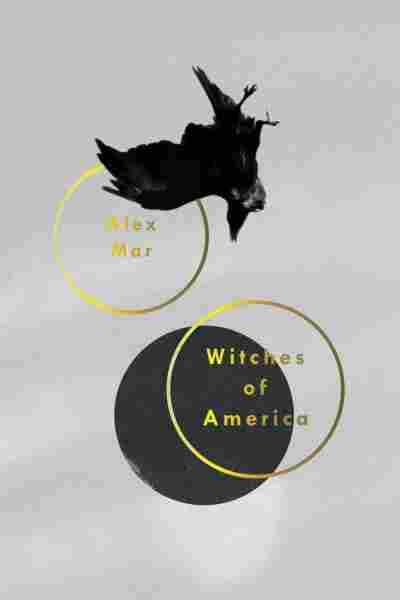 Enlightenment Proves Elusive In 'Witches Of America' Alex Mar's half-memoir, half-cultural study of American occultism mixes research with her own search for meaning. Critic Genevieve Valentine says it's a difficult journey, for Mar and for readers. There's no such thing as an objective cultural history; that's just the nature of the beast. Every student brings something to their research, and every reader brings something to the text. And that's before you get into the idea of memoir as an approach unto itself. Documentarian Alex Mar walks this tricky line in Witches of America, a quasi-memoir that blends her research into the history of witchcraft and the occult in America with a personal search for meaning within them. This is a book smart enough to know you can't be dispassionate about a religious quest. But it's not an easy journey — for her, or for us. The central tension of the book is ostensibly the chasm between modern doubt and modern belief: The ritualized mantras of Wicca and the Ordo Templi Orientis have a distinctly self-help tilt, but also seem to require an emotional openness and credulity that's easy for mainstream religious types to dismiss (or condemn). Amid this, Mar sketches a history of twentieth-century occultism and witchcraft, from the legacy of Aleister Crowley and the O.T.O. to the hodgepodge of Pagan beliefs on display in a hodgepodge of locations: Outdoor gatherings, celebratory hotel conventions, Gnostic Masses in abandoned churches. And though Mar has clearly researched the history of the movement with scholarly remove, it proves inevitably harder to stay detached when things get personal. In some ways, that's the point of the piece. Readers looking for a survey of modern witchcraft are unlikely to seek out so personal an account. (Don't worry, she's still aware of the appetite for prurient detail that accompanies her increased immersion in Wiccan and occult subcultures; if you ever wanted to know what exactly goes into the host at a Gnostic Mass, now's your chance.) The Wiccan priestess Morpheus slides slowly from Mar's subject to her friend — Mar speaks glowingly of her and attempts at intervals to make her a Wiccan feminist lens — but when the coven inducts a crow corpse because Morpheus is convinced it holds a spirit, Mar writes about it with a careful lack of commentary; she knows the audience isn't sold. This is a book smart enough to know you can't be dispassionate about a religious quest. But it's not an easy journey — for her, or for us. But though Mar openly acknowledges how academic observations take a backseat to her desire for fulfillment, that doesn't make the balance easier to maintain. Some chapters raise questions: How does she feel about the distinctly Wiccan language she uses in emails to Morpheus about spells for a straying boyfriend? Others just raise eyebrows: In the interview chapter "Sympathy for a Necromancer," 'Jonathan' cites a high school breakup as the reason he began to break into cemeteries, behead corpses and ensorcel the heads. Mar claims Jonathan represents any religious person trying to make sense of death — but she also notes he's "attractive," with an intense magnetism that we must assume prevents anyone from crossing him. And there are missed cues among the questions Mar asks about Wicca and the O.T.O., as when she notes ritual elements lifted piecemeal from the spiritual practices of other cultures without examining cultural response, or how Wiccans reconcile these disparate elements beyond her teacher's "Whatever works." Some of these disappointments, I'll admit, come from finding the cultural research aspect of the book more engaging than Mar's personal journey. Her writing is compelling, her internal life less so, and though her personal experience is the spine of the story, it wasn't what drew me along. But just as I was writing this review, a woman next to me was talking to a friend about her recent beginner outings into spiritualist practice. She said she understood how strange it all sounded, reading meaning into seemingly disconnected things, but (leaning forward, the picture of a believer) she said, "I just — want all this to be happening for a reason, you know?" To me, it's a coincidence; any city is full of people hunting for meaning in a sea of disconnects, until even the popcorn truck at the Labor Day street fair sounds like a religious barker. The priestess Morpheus would say this conversation was a sign, sent to open my eyes to those for whom this book will resonate. And the point of Witches of America is to find out which one of us Alex Mar becomes. Read it or not; do what thou wilt.